Last August I decided I needed a new hairdresser. After 9 years my gal just wasn’t cutting it anymore (haha- no pun intended). My highlights were too yellow, chunky and she kept applying the color too far off my scalp. My hair grows really fast so if my highlights aren’t right up to my scalp I will literally have roots in 1 week. Whenever this would happen I would I ALWAYS go back and get it fixed so it ended up taking twice as long to get my hair done. I was fed up. It was 2 weeks before my wedding and I decided to try someone new. Looking back this could have gone horribly wrong, fortunately, I went to Jill who is a total expert and takes her craft seriously. My hair had never looked better. 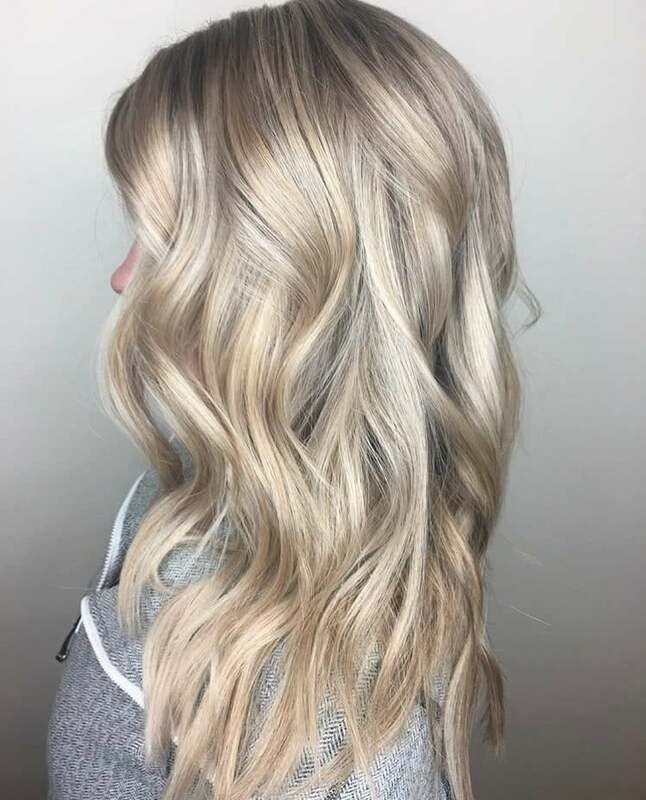 She made it super icy and did my highlights so fine I actually looked like a natural blonde. I’ve been seeing her for over a year (minus the hair fiasco from last December) and she is consistently amazing every time. I also love Jill because I can text her in a panic (like the day before I left for my Cabo vacation and was worried about ruining my hair in the pool) and she always gives me great tips. Jill has brought me to the color blonde I wanted AND she’s taught me so many great tools to keep my hair healthy. So, here are her tips along with some things I’ve learned throughout the past year of beauty blogging. Enjoy! Jill LOVES to braid and she’s so talented! When you lighten your hair you basically create little holes in each strand by breaking down the bonds. 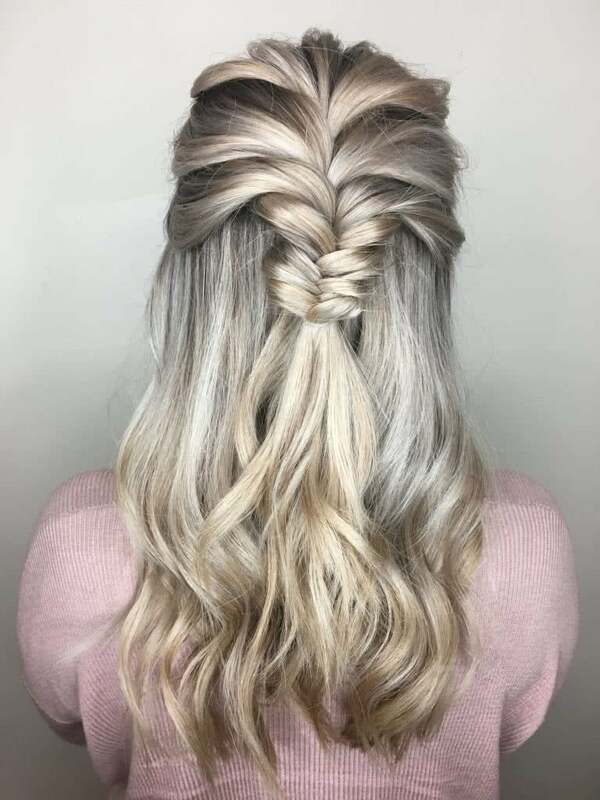 Over time and continued coloring, the hair becomes so fragile that often breaks off and looks fried/ frizzy and unhealthy. To prevent this, Jill usually only applies color to my new hair growth instead of pulling the color all the way to the ends of my hair. This enables it to grow longer and healthier and not continue to damage already weakened strands. 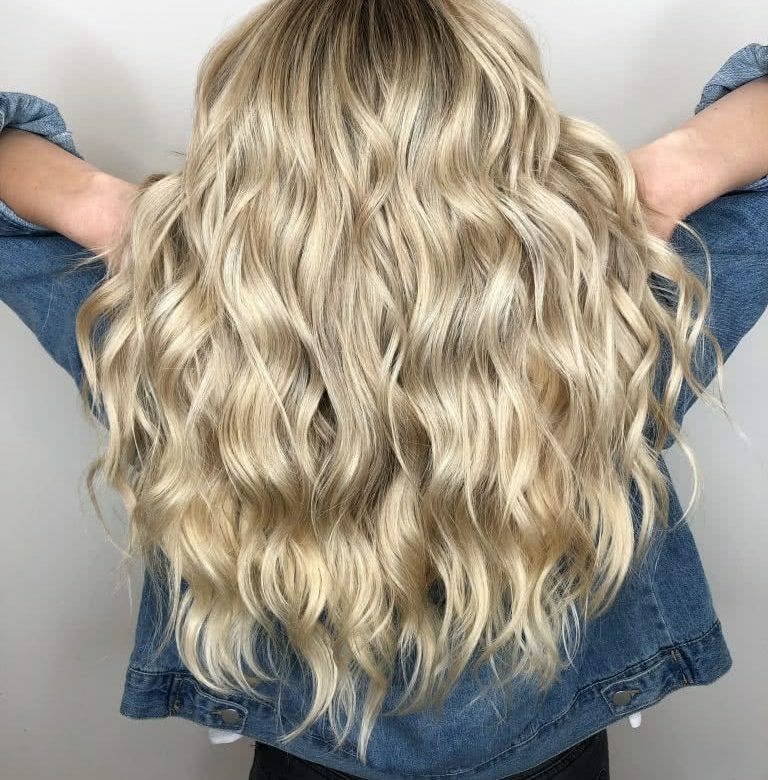 Occasionally I feel like my ends are yellowing and she will pull a few blonde highlights all the way through.Instead of bleaching the ends every time, she taught me about PURPLE SHAMPOO. I prefer icy blonde over yellow and purple shampoo helps me do that without ruining my hair. I can’t believe I have been a blonde my entire life and never heard of this easy solution! Jill has also stopped toning my hair. 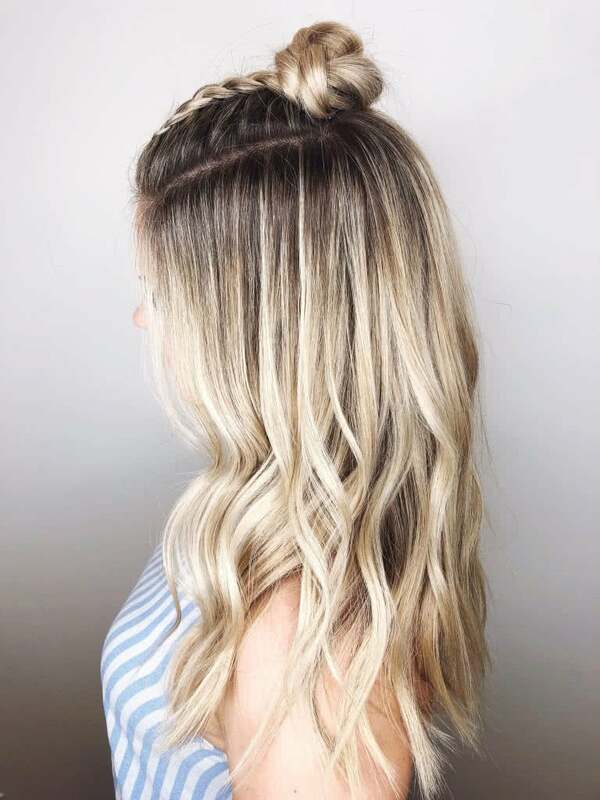 Toning can actually make blonde hair darker over time and is usually an extra fee so instead, Jill washes the highlights out with a purple shampoo and I leave the salon with a color I can maintain at home. Jill tries to lift the color as light as possible without damaging my hair so it’s easily maintained with my own purple shampoo. Another thing to note about toner- It washes out after a few times and all that extra time and effort at the salon is usually gone within a week. With that said, I’ve always been blonde. If you’ve been dark/ blonde/ red and are trying to have light hair again, toner will help you tremendously! My favorite purple shampoo & conditioner brands are Fanola and Unite. Fanola is VERY pigmented so I only use it when I’m feeling very yellow. Unite is a less intense treatment that smells amazing and can be used more often. Another great tip for all hair colors and types is to not overwash your hair. It needs all the moisture it can get. Instead, use a dry shampoo to soak up oil on your scalp and give you some added volume. I’m going to debunk this myth right now… *Dry shampoo does not clean your hair* Using dry shampoo too often can create a lot of build-up which leads to dry hair, so include a clarifying shampoo in your routine to remove the residue and cleanse your scalp properly. Shampooing the hair twice is ideal: the first wash loosens product residue and the second shampoo washes it away. For serious dry shampoo lovers, use a protein-enriched hair treatment every week and massage the scalp to stimulate the hair follicles and break up any remaining product buildup. 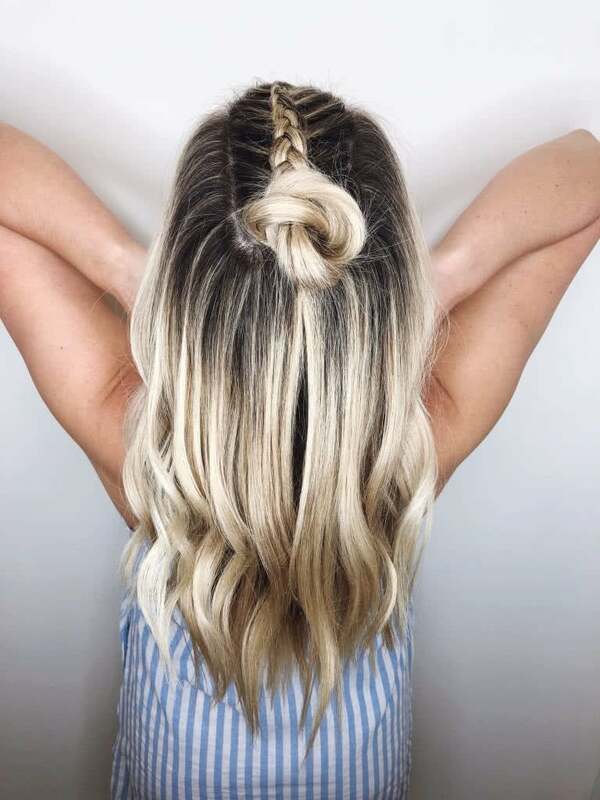 How fun was this half-up braid? 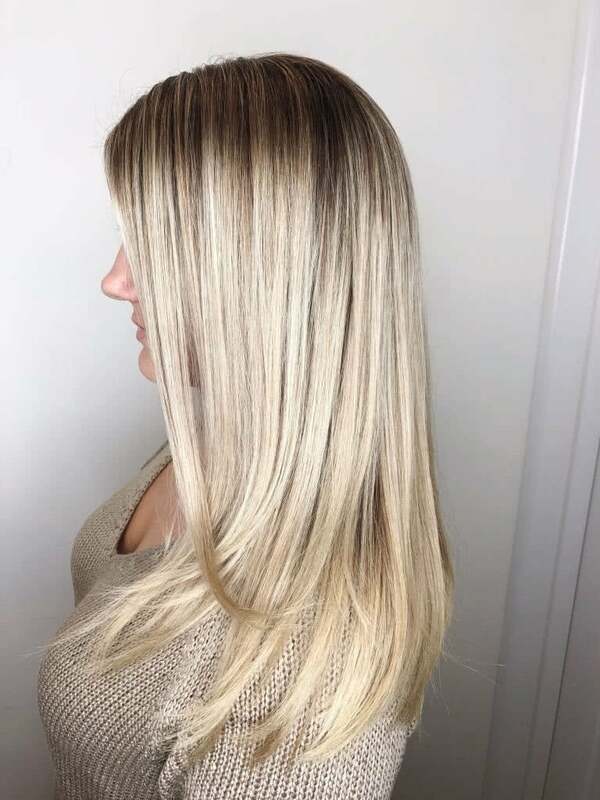 Olaplex #3. Add this to your routine to help rebuild the bonds in your hair. 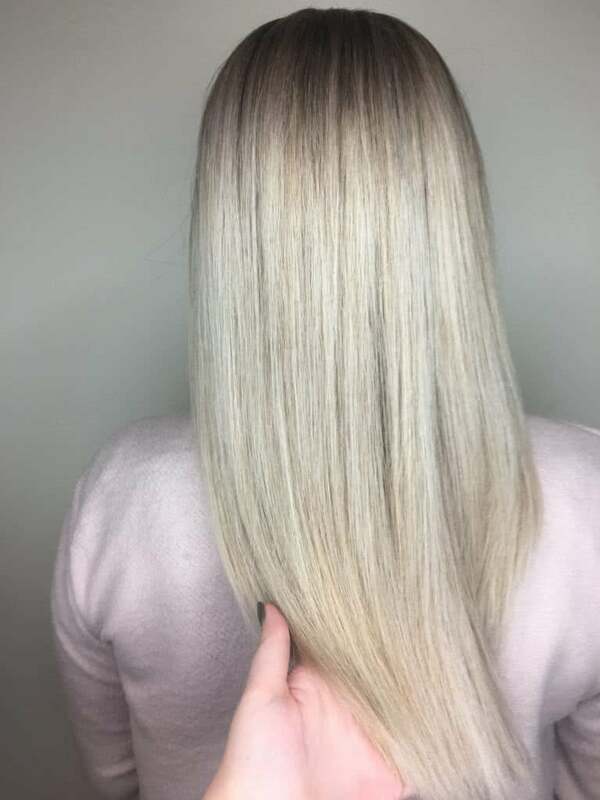 I linked the post where I explain the entire Olaplex process, but #3 is easily accessible and works very well! Always use a leave-in conditioner/ detangler after washing your hair. Since I’ve added this to my routine I find that my hair is shinier, less frizzy and brushes out much easier. It also acts as a barrier against heat. Take time brushing your hair. I’ve switched my brush to this one and my hair is SO easy to brush now. I also find that when I brush my hair in the shower when it has conditioner in it it’s way more manageable when I get out. I use the Wet Brush paddle brush in the shower. Rebuilding the bonds in each strand is important, but so is rebuilding protein. Protein helps with preventing breakage, split ends and adds shine. Protein got a bad rep a few years ago when people found that it would cause more breakage in hair but since products have switched from animal protein to vegetable protein it can’t be overdone! The sun and hot tools can make your hair color fade as well as damage it. There are a few easy ways to protect your hair. Wear a hat when you’re in the sun. If you’ve followed me for a while you know I’m a huge proponent of protecting my skin and I love hats and visors- turns out this has been protecting my hair too! YAY! Stay away from products with heavy silicons. For example, certain conditioners that make your hair feel amazing but actually create buildup which can change the color of hair and texture. Stay away from amber colored serums as they can dull and yellow blonde hair. Chlorine is VERY hard on hair. If you must get your hair wet in a pool get it wet with regular water first. If you really want to keep your hair healthy, apply a leave-in conditioner from the roots to tips too! This will keep the strands sealed and prevent the chemicals from absorbing into your hair. Lastly, hairdressers aren’t magicians. If you want to seriously change your hair color (dark to light OR light to dark) it will take multiple visits to the salon. You want a hair stylist that will be honest with you and help you have realistic expectations. This will give you the best, long-term hair health and results for your new color. Any tips we missed? Let me know! Love this post! I have the same issue with my blond hair and roots too 🤦🏼‍♀️ I actually started using your tip of putting dry shampoo in my hair the night before so it soaks in! And if I curl it the day before too the next day it actually looks better!